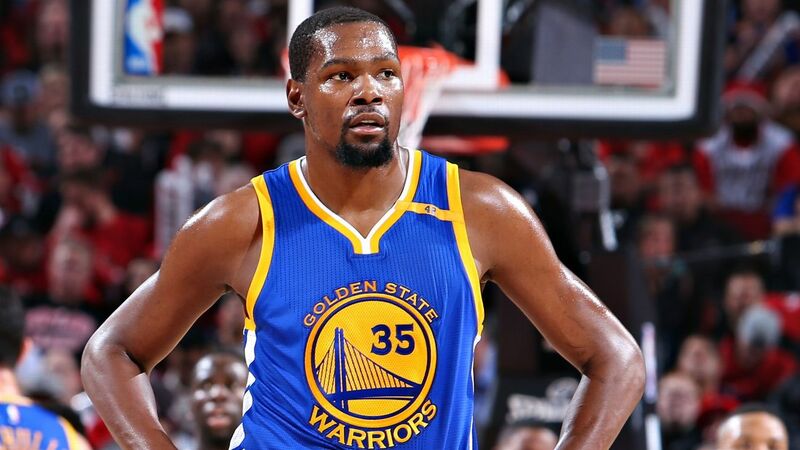 SALT LAKE CITY -- Golden State Warriors forwardKevin Durant plans to decline his player option for the 2018-19 season and become an unrestricted free agent this summer, league sources told ESPN. His time on the open market, however, will be brief. A nine-time All-Star and the reigning NBA Finals MVP, Durant will be turning down a salary of $26.2 million, a figure well below that of a player of his caliber, in order to restructure a new deal with the Warriors, sources said. Last offseason, Durant inked a discounted two-year, $51 million deal that included an opt-out clause. He took close to $10 million less than what he could have earned on a max salary. Agreeing to such terms allowed the team to retain forward Andre Iguodala and backup point guard Shaun Livingston. "His gesture of taking less gave us the ability to be very aggressive in pursuing Shaun and Andre," Warriors general manager Bob Myers said in July. "I can pretty much unequivocally say, without it, we're not looking at the team we have right now. What Kevin did shows who he is, shows what he's about, and I think it's clear that that's winning. Without him doing that it would have been a different roster, and clearly to me, a roster that wasn't as good as the one we have right now." It has yet to be decided what contractual route Durant will take, sources say, but there are no real incentives -- for himself or for the team -- to take such a drastic reduction in pay this time around. Durant and business partner Rich Kleiman will go over the scenarios in great detail at the conclusion of the Warriors' postseason run. Option A: He can sign a two-year deal with a 2019-20 player option in which the first-year earnings would be $30 million and the option year worth $31.5 million. The only benefit in signing this contract is that the salary cap is expected to jump from $101 million (2018-19) to $108 million (2019-20). Durant could then opt out after the 2018-19 season and sign a five-year, $219 million contract. It would be the largest deal in NBA history if San Antonio forward Kawhi Leonard doesn't sign a super max this summer. Nonetheless, the Warriors' luxury tax bill in 2019 would be astronomical. Durant's five-year income breakdown would be $37.8 million, $40.8 million, $43.8 million, $46.8 million and $49.9 million. Option B:He can sign a four-year max contract valued at around $158 million. His annual pay would be $35.3 million, $38.2 million, $41 million and $43.8 million. Option C: He can agree to a three-year deal with a player option after the second season. His income would go from $35.3 million to $38.2 million, and the option year would be $41 million. The salary cap in 2020-21 is expected to be approximately $112 million. Or, in this scenario, Durant could opt out and sign a five-year, $228 million contract with a starting salary of $39.4 million -- the same contract Anthony Davis is eligible to sign with New Orleans in 2019. Under Option C, Durant would be eligible for a no-trade clause because he would have played four seasons with the Warriors and been in the NBA for at least eight seasons. But the Warriors' negotiations with Stephen Curry last summer showed that the team's ownership is reluctant to put a no-trade clause in a contract. In early March, Durant told The Athletic: "It made sense to do the one-year deal. I'm sure here soon I'll want to sign a long-term deal just to feel stable. But I'm enjoying every moment of it, so I'm not trying to look too far down the line." Durant, 29, finished the 2017-18 regular season with averages of 26.4 points, 6.8 rebounds and 5.4 assists. Chris Haynes breaks down the news that Kevin Durant will decline his player option for 2018-19 to restructure his current discounted deal with the Warriors to "take care of himself long term."